The general aim of this project or "laboratory" is to explore sophisticated theories about ethics, moral psychology, the self, and political philosophy through a careful comparative study of Korean philosophy. We intend to describe and analyze a range of issues related to these topics in ways that are sensitive to their historical contexts. We will look for and highlight the common sources and mutual influences that have occurred among the three great East Asian cultures of Korea, China, and Japan, as well as the distinctiveness of ideas developed in each. At times, we will pursue purely historical accounts that include careful conceptual analysis but our primary aim is to show the contemporary relevance of historical ideas, for modern Korean society, other East Asian societies, and contemporary global philosophy. 본 연구소 프로젝트의 포괄적인 목적은 한국 철학의 면밀한 비교 연구를 통해 윤리에 대한 복잡하고 다양한 이론들과 도덕 심리학, 자아, 정치 철학 등을 탐구하는 것입니다. 특히 역사적 상황을 민감하게 고려하면서 이러한 주제들에 관한 논점의 범위를 규정하고 분석하고자 합니다. 3 대 동아시아 문화인 한, 중, 일 각국에서 개별적으로 발전된 사상들의 독특성 뿐만 아니라 이들 사이에 발생했던 공통된 근원와 상호간의 영향들을 찾고 부각시킬 것입니다. 경우에 따라, 면밀한 개념적 분석을 포함하는 순수한 역사적 현상을 연구할 수도 있지만 주된 목표는 한국 현대 사회와 다른 동아시아 사회, 그리고 현대 세계 철학에 대한 역사적 사상들의 현대적인 연관성을 밝히는 것입니다. 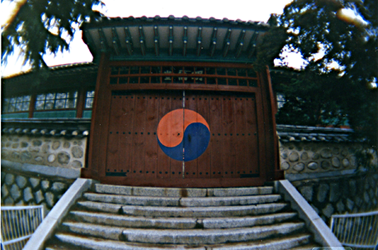 In years one and two of the laboratory, we will hold workshops on Korean philosophy. The first will be held at Seoul National University and will focus on Korean and Comparative Political Philosophy; the second will be held at Korea University and will be organized around the themes of Korean and Comparative Philosophy and History of Philosophy. In years three and four, we will hold major international conferences on Korean philosophy. These both will be host be City University of Hong Kong. The first will build upon our first workshop and take as its guiding themes Korean and Comparative Political Philosophy; the second will focus on Korean and Comparative Philosophy and History of Philosophy. We will host a postdoctoral fellow for the full term of the laboratory. Our fellow will be someone with deep interest in Korean and comparative philosophy who possesses dual expertise in contemporary Analytic philosophy and Korean language and culture. Throughout the course of the laboratory, all of its members will be actively producing original scholarship which advances our understanding of Korean philosophy from a comparative perspective and disseminating this material both through our web page and by presenting it at various international venues. 1-2년차에서는 한국철학에 대한 워크숍을 개최할 것입니다. 서울대학교에서 개최될 1차 워크숍은 '한국과 비교정치철학'에 초점을 둘 것입니다. 고려대학교에서 있을 2차 워크숍은 '한국과 비교철학, 그리고 철학사'를 주제로 개최될 것입니다. 3-4년차에서는 홍콩시립대학교(City University of Hong Kong)에서 한국철학을 주제로 두 차례의 주요 국제학술회의를 개최할 것입니다. 1차 회의는 1차 워크숍을 바탕으로 진행될 것이며 '한국과 비교정치철학'을 기본 주제로 채택할 것입니다. 2차 회의는 '한국과 비교철학, 그리고 철학사'에 초점을 둘 것입니다. 본 연구소의 기간 동안 한 명의 박사후과정 펠로우(fellow)가 있을 예정입니다. 이 펠로우는 '한국과 비교철학'에 깊은 관심을 갖고 있으며, 현대분석철학과 한국언어문화의 양 분야에 전문성을 갖춘 인재일 것입니다. 본 연구소의 연구가 진행되는 동안, 모든 참가자들은 비교연구적 측면에서 한국철학에 대한 이해를 심화시키는 본연의 학술 정보를 적극적으로 생산할 것이며 이 자료들을 웹 페이지 또는 세계 여러 지역의 발표회를 통해 보급할 것입니다.